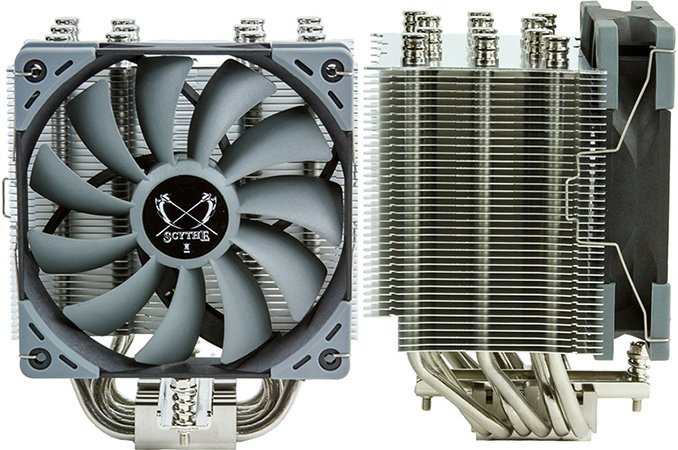 Scythe this month has introduced its fifth-generation Mugen cooler for CPUs. The Mugen 5 has a slightly different design compared to previous models to improve its compatibility with tall memory modules, as well as having a new fan that is claimed to be quieter as well as a new mounting mechanism that is said to be easier to use. The price remains at a ~$50 level. 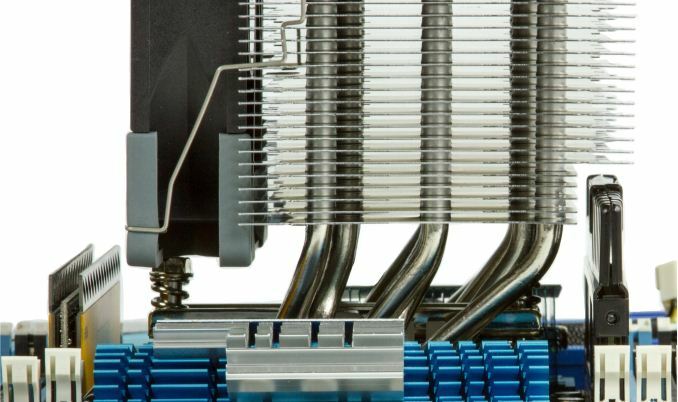 In the recent years, all-in-one liquid cooling systems have gained a lot of traction because they offer a rather high thermal conductivity, predictable reliability, and a compact design that allows clean builds. Modders, as well as boutique PC makers, may prefer to use closed-loop LCS for the aforementioned reasons and because these coolers help to emphasize their work and create a positive impression of their style. Nevertheless, while AIO liquid coolers seem ubiquitous, the vast majority of modern PCs still use traditional air coolers - keep in mind that AIO LCS are produced in high volume by only two makers with relatively limited production capacities. Advanced air cooling systems can provide thermal conductivity akin to mainstream LCS (whereas the so-called mega-coolers can easily challenge some of them) at lower price points. There are a number of air coolers from several companies that have been on the market for more than a decade and which are still evolving in their n-th generation. One of such devices is the Scythe Mugen, which was introduced exactly ten years ago, in late 2006 (albeit, under the Infinity brand name). The Scythe Mugen 5 retains the massive look and all the key principles of its predecessors: it has a copper base (nickel-plated), six 6-mm heat pipes and an aluminum radiator comprised of 39 large fins (which are thicker compared to predecessors, but their number got lower), but has a number of noticeable differences. One of the things that all Scythe Mugen coolers, as well as other devices with huge radiators, are criticized for is their dimensions that prevent installation of memory modules with tall heat spreaders. The Mugen 5 uses an asymmetrical design with some fins slightly shifted to a side from the base with some of the lower fins truncated (see the picture). Scythe believes that this design of the radiator will allow tall DIMMs, even in HEDTs with quad-channel memory sub-systems. Large CPU coolers are known for their relative quietness and with the fifth-generation Mugen, the manufacturer decided to further improve this advantage. The Mugen 5 comes with Scythe’s new Kaze Flex 120-mm fan (not yet available separately) that uses the company’s self-contained liquid FDB bearing. The latter is claimed to have a life expectancy of 120,000 hours (over 13 years), up from the 30,000 hours (~3.5 years) of its predecessor, as well as lower noise levels compared to the Mugen 4 (24.9 dBA vs 28 dBA). 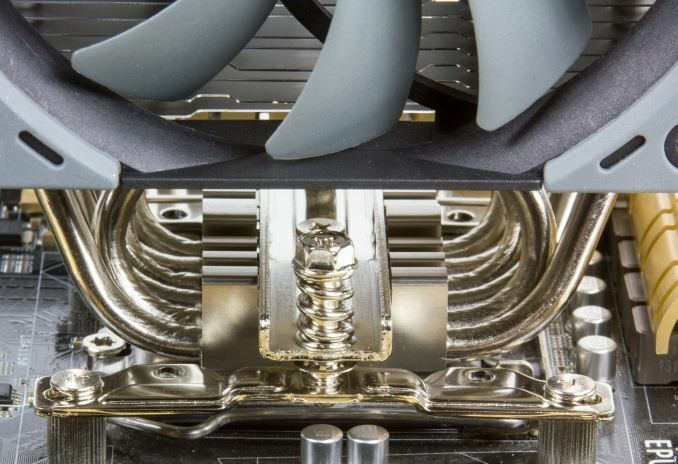 The fan is PWM controlled and can rotate with 300 ~ 1200 RPM speed, which ensures low noise levels, but also means lower amount of air that it can flow per minute (compared to other fans), something that can affect thermal conductivity (this does not mean that the SCMG-5000 will have a lower performance than the SCMG-4000). To reduce noises produced by the cooler further, the Kaze Flex 120 (SS1225FD12M-CHP) has rubber pads near the mounting holes to decrease vibrations. As for the mounting mechanism of the Mugen 5, it resembles that of the Mugen 4, but Scythe revamped it a little bit by adding a spring to the screws prevent uneven pressure distribution. The Scythe Mugen 5 is already available in Europe and should hit other markets shortly. The recommended price of the SCMG-5000 for the Eurozone is €47.95 (without taxes), which is in line with its predecessors. If you think a 120mm fan at 1200RPM is "too low", you are not the target demographic of this kind of HSF. Not sure what your CPU load is but I've used their original Ninja cooler on a 95W Q9450 with 20% OC back in the day and at 1000RPM it was able to keep temps under 55*C while running P95 stress test. Under gaming loads, it's obviously less, but I would've liked it to be quieter still. I would imagine their current big HSFs are more effective.